BREAKING NEWS: Walmart announces it will raise wages! 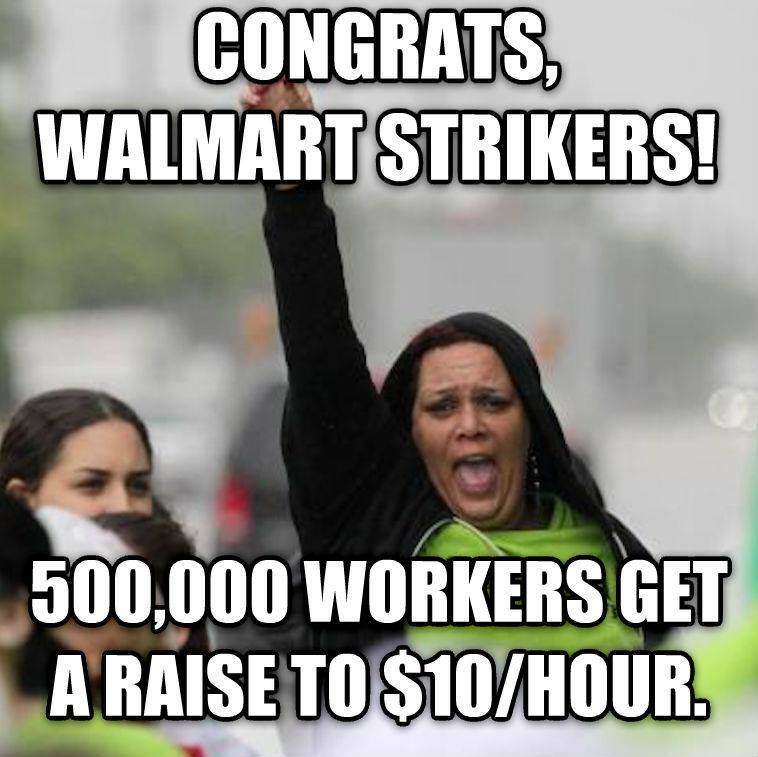 Today is a big day for Walmart workers! Walmart, the largest employer in the world, made an announcement that they plan to raise the baseline wage for current employees to $10/hour. This wage increase will impact nearly 40% of Walmart workers in the US, or an estimated 500,000 Walmart workers! This is not only a HUGE victory for Walmart workers and their allies, but also for the retail industry and the labor movement as a whole. Today, we celebrate the effectiveness of our organizing and lift up the strength and energy of all Walmart Associates who risked their jobs by striking and demonstrating. This is what worker power looks like! The fight must go on though. This announcement still falls short of what US workers need to support their families, and we will continue to call for $15 an hour and respect on the job! Will you join us in this fight? ← NYS DREAM Act One Step Closer to Becoming a Reality!